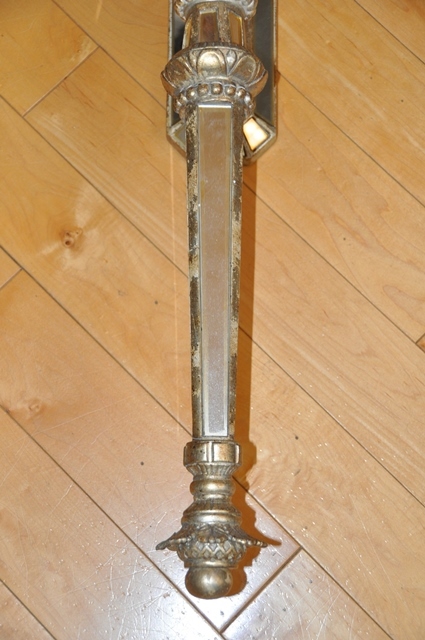 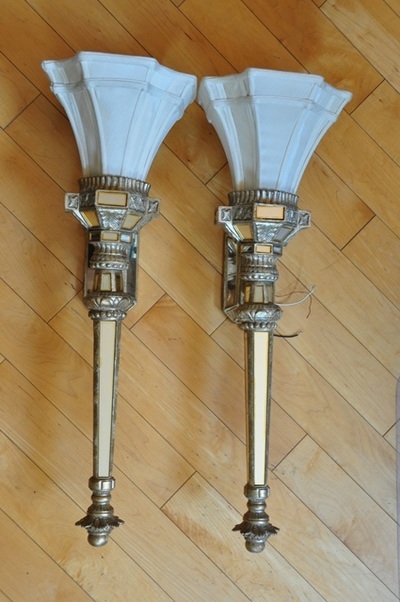 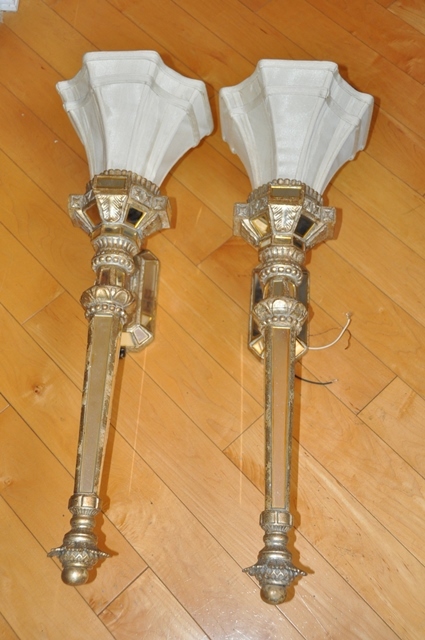 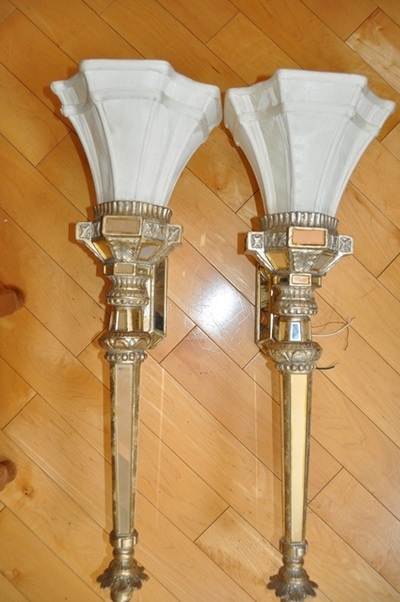 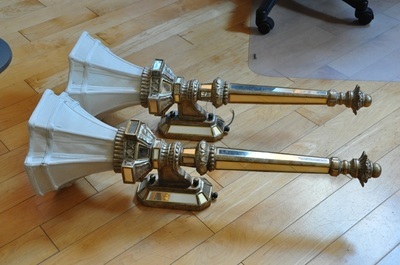 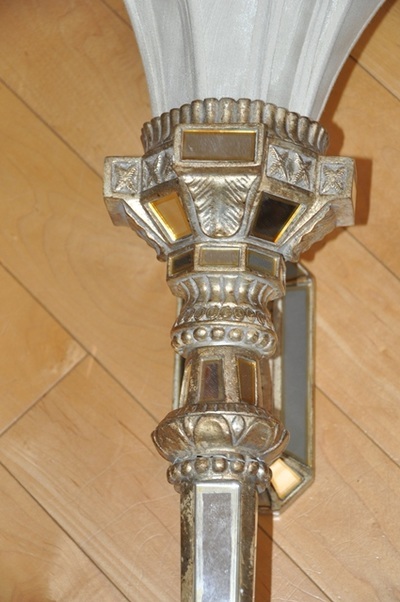 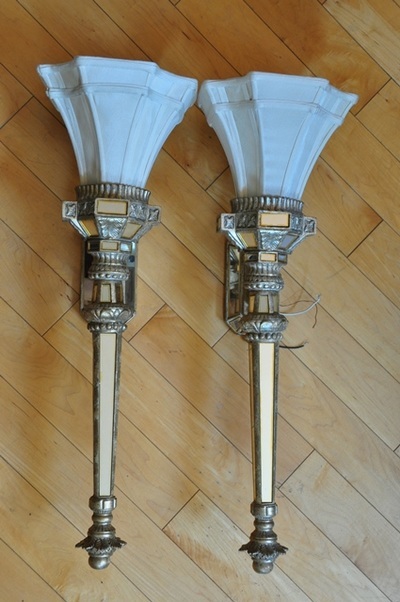 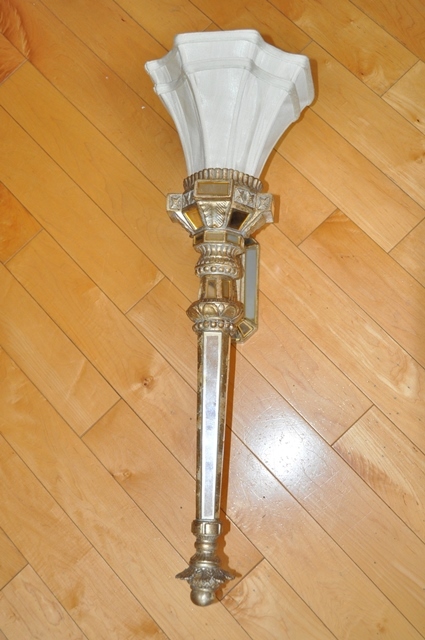 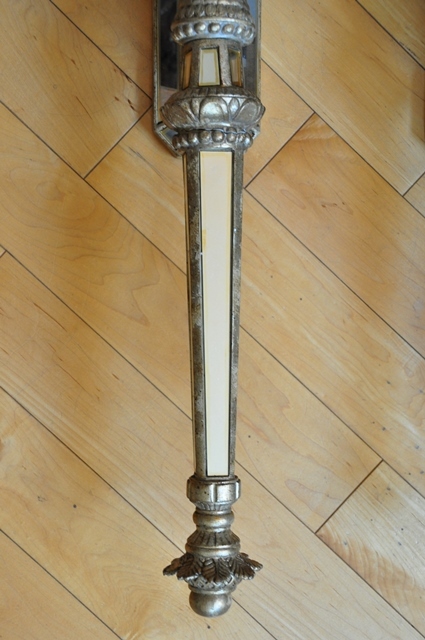 This is a pair of designer sconces from the John-Richard Collection. They have Venetian influence in the fact that many mirror pieces have been put together into a unique design. 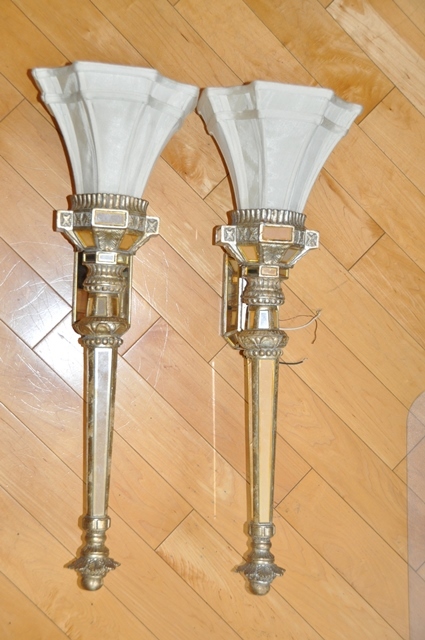 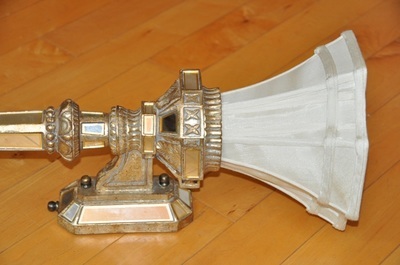 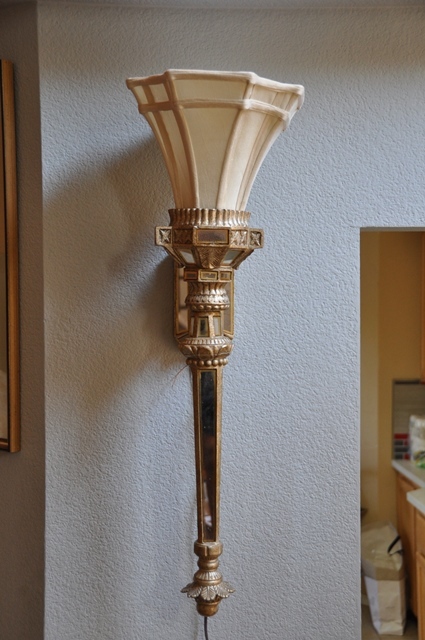 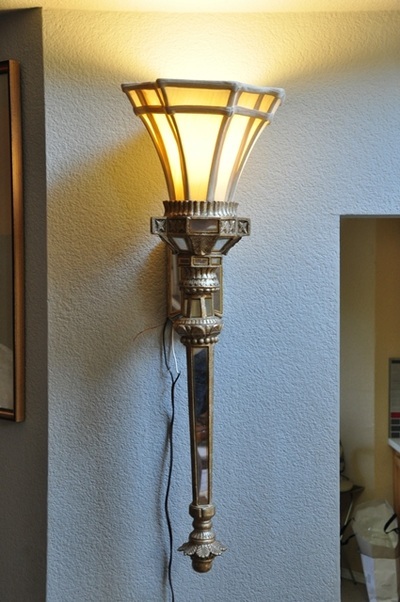 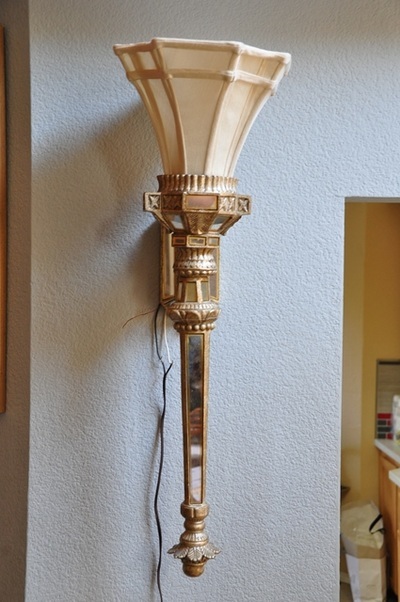 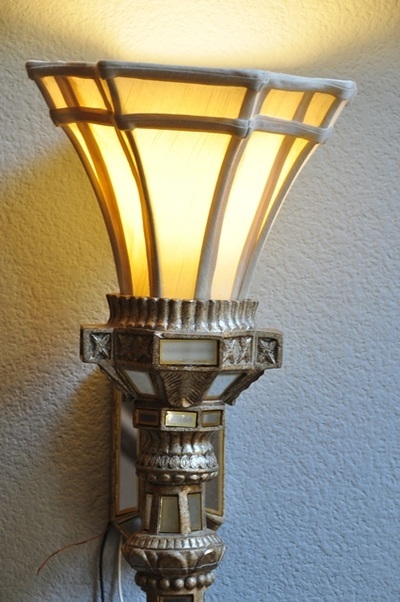 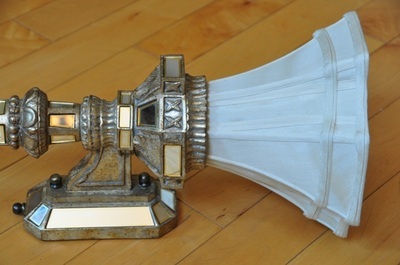 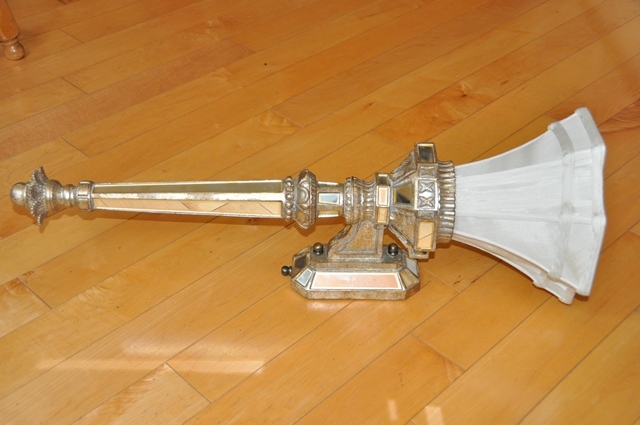 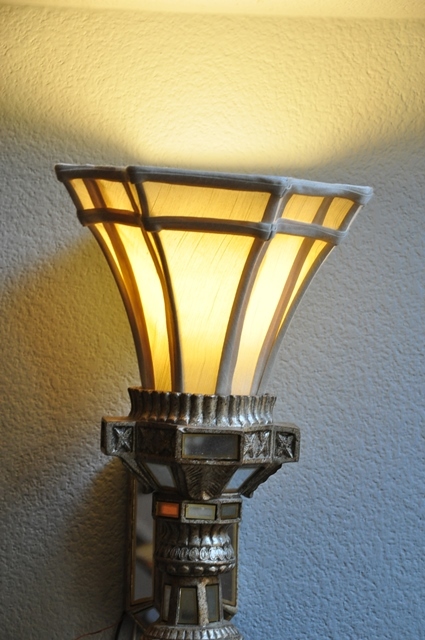 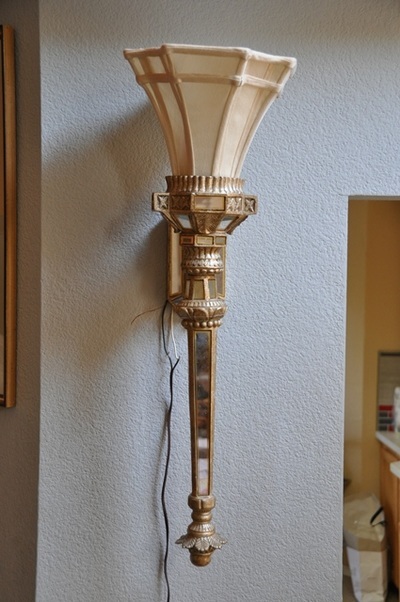 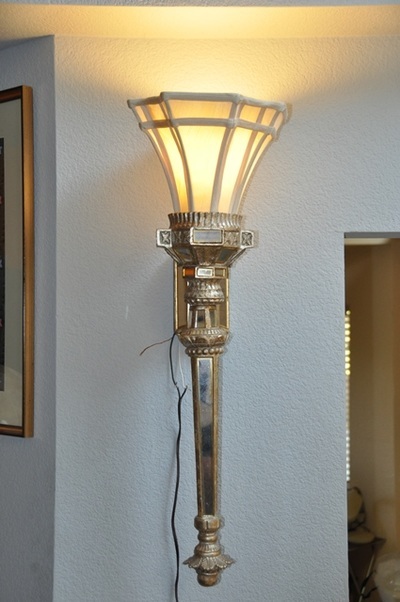 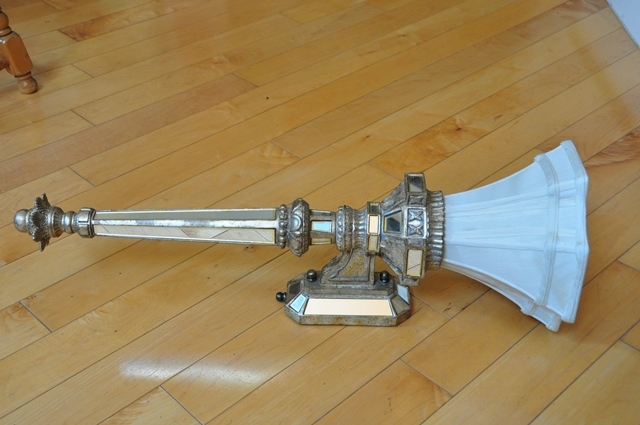 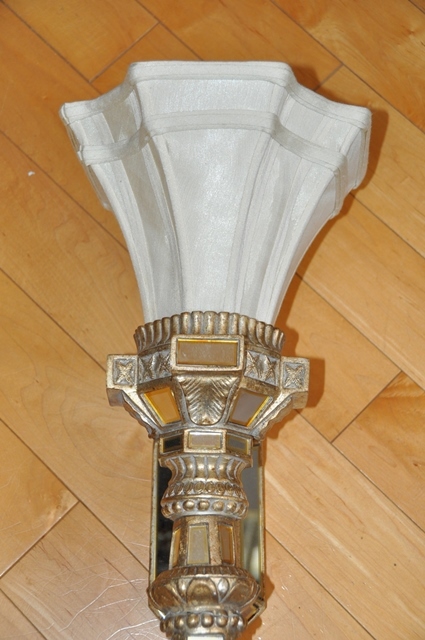 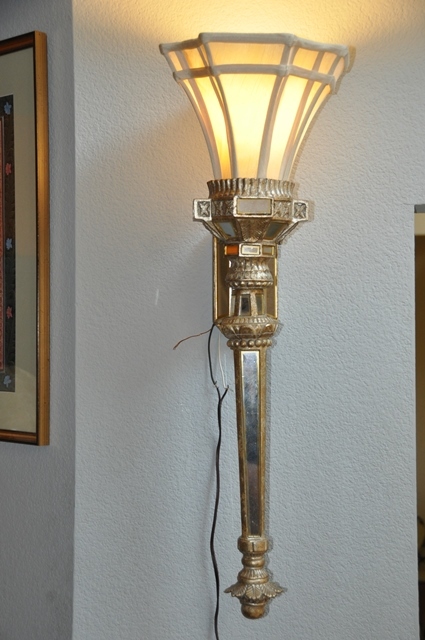 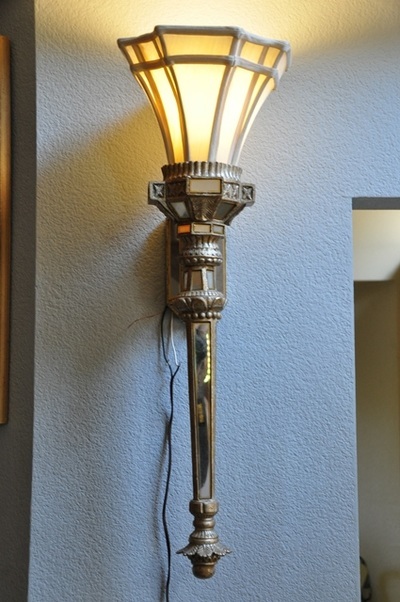 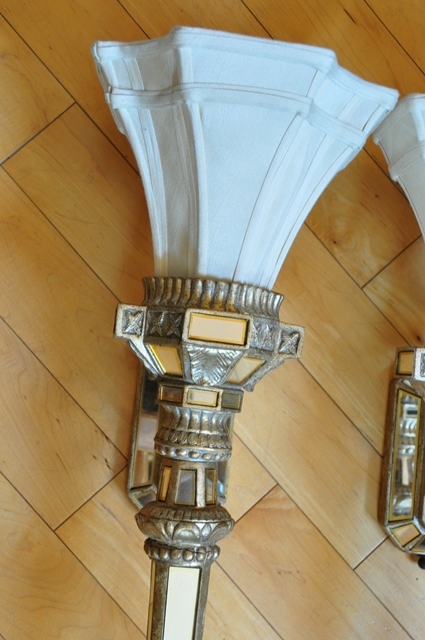 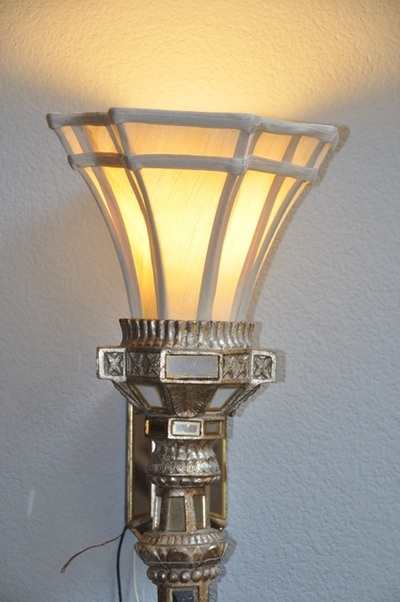 The fluted wall torch sconces have shades made of cloth. 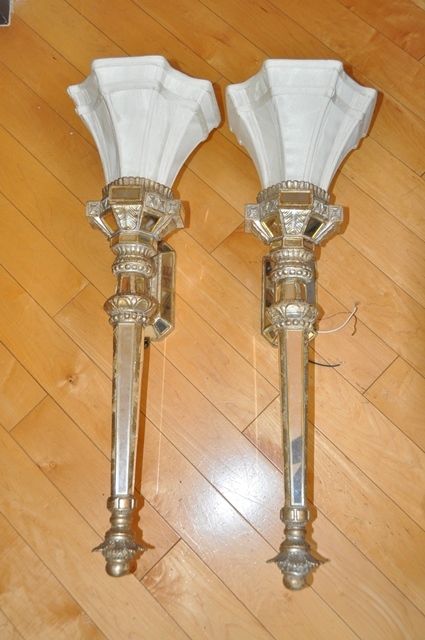 Overall they are 11" wide, 11" deep and 33" tall.